On Sunday, I experienced a little taste of heaven. Or at least what heaven would be like if I was in control. It’s Fil here, and those of you who follow our blog regularly would know that my birthday was around a month ago. 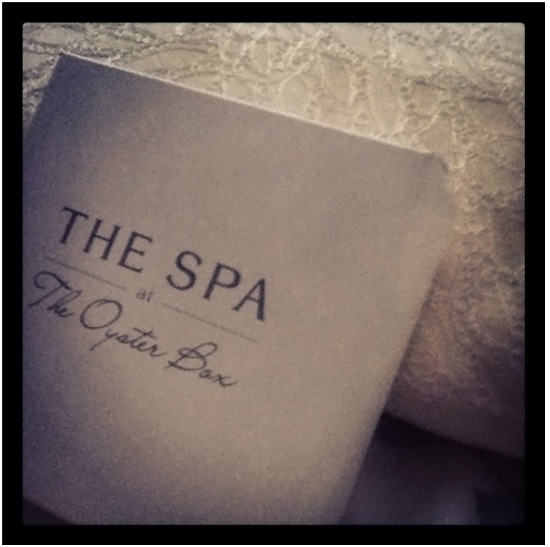 My awesome family clubbed in to buy me a Durban Hammam Ceremony from the Oyster Box Spa, and I experienced all its wonder this past Sunday. And it all started with the number 6 - the key to my locker in the spa bathrooms, where a fluffy white robe and some equally awesome white slippers awaited me. Truth be told, I found it a bit random to be wandering around in a robe like a mental patient, but hey, I rolled with it! 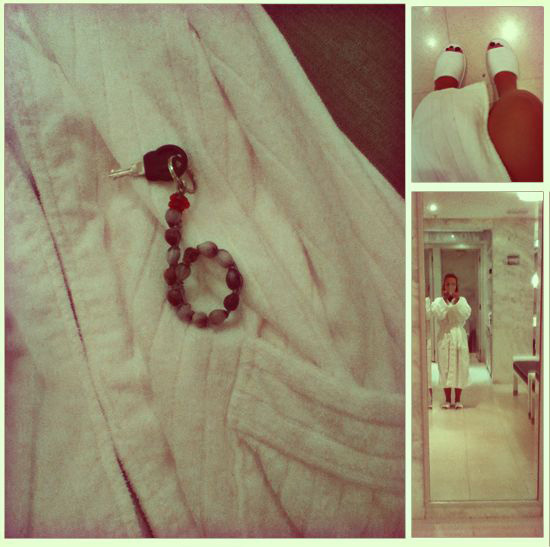 Me being a creep in my bathrobe and slippers! 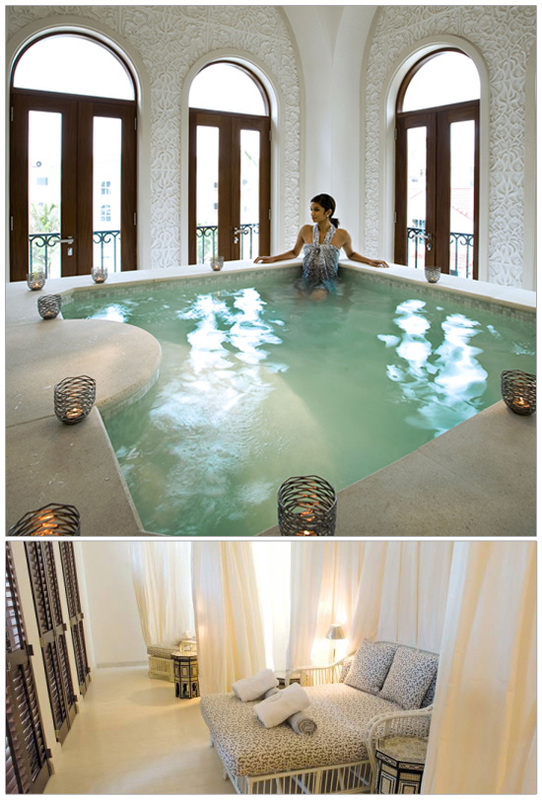 As is ritual at the Oyster Box Spa, each guests receives a foot bath. Before your feet are bathed, you are asked to pick a rock with words engraved on it. 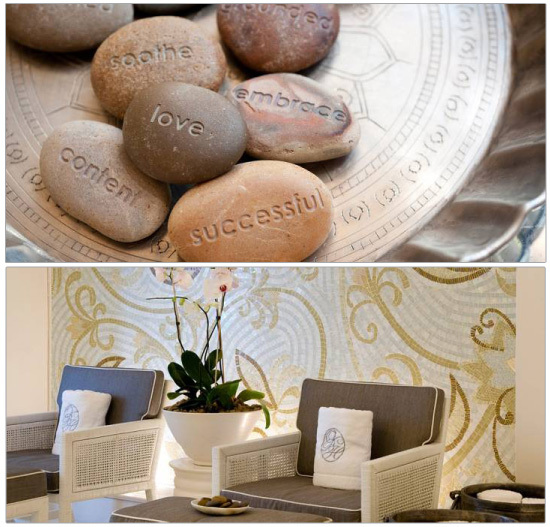 The one you pick is the emotion you want to experience throughout your spa session. The choice of rocks I was given were serenity, elated and gratitude. Since this was a gift, I went with gratitude. After the massage, my therapist ran a shower for me and I was able to take my time and just relax. The shower head was HUGE, like the size of a car tire and I felt like I was standing in the rain. It was uber relaxing and the products they provided me with smelt divine. That was the end of my treatment, but not the end of my spa day. From there, the therapist showed me the plunge pool and the tranquility room and I was able to move freely around the Spa to wherever I wanted. SO, I went and got some delish crunchies that I had eyed out when I came into the Spa earlier that day, and then went into the Tranquility room. This room has incredible french door shutters and overlooks the beautiful gardens of the Oyster Box Hotel. The billowing curtains make you feel like you're a. in a cocoon and; b. in that scene from Pearl Harbour. I read a magazine, opened the shutters and just listened to the rain outside. The Oyster Box may be pricey, but trust me, it so worth it. The treatment you get is exclusive and unique. I felt like I was the only person in the Spa, and knowing that the entire Hammam treatment room was mine for an hour made me feel special and important. 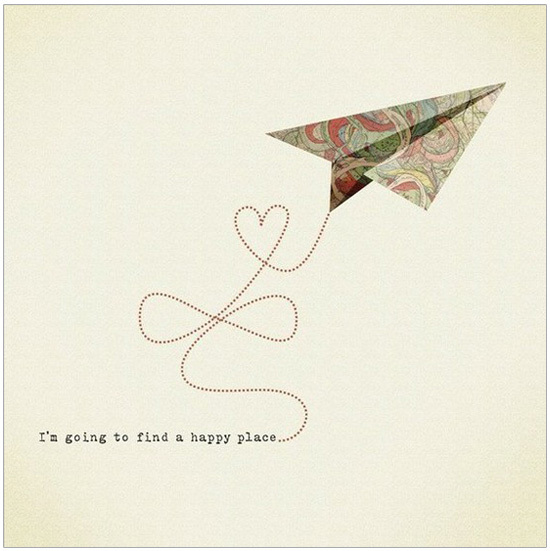 I picked gratitude as my stone, but I left feeling elated, grateful and serene. 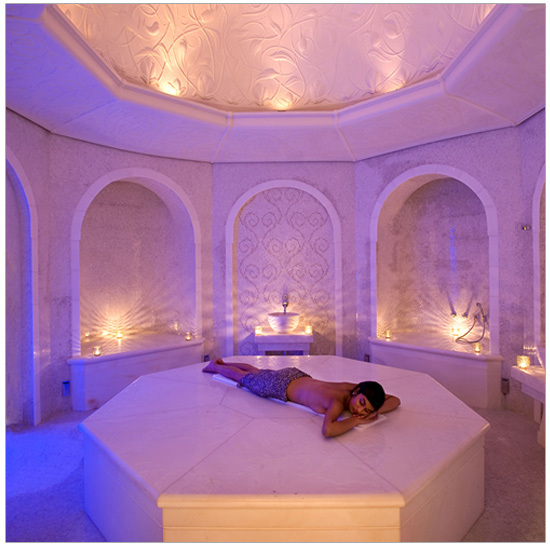 For an idea of what the Spa offers, check out their brochure here. The Spa is open pretty much all the time and Sundays seem to be an awesome time to go there. My session started at half past four and was 75 minutes long. I hardly saw anyone else and really felt like the spa was mine for the afternoon! These make GREAT gifts and the list of available treatments is extensive. 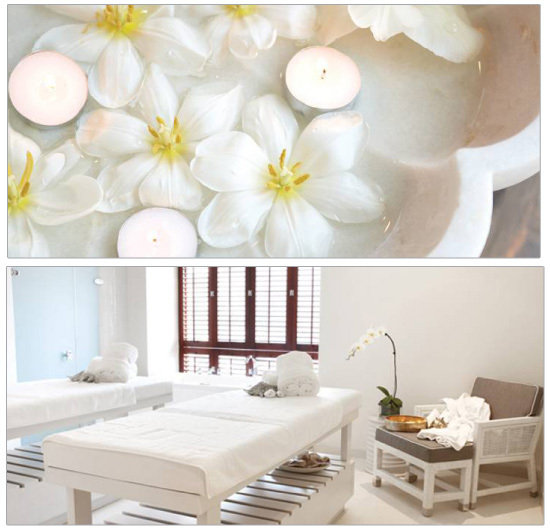 They offer packages for mommies to be, brides to be and even spa parties - great for bridal showers! A huge thank you to my awesome family for knowing me so well and giving me the perfect gift - some time to relax, some time to contemplate and some time to just indulge. Love you all long time!